If it was not for the pretty colors leaves take on before they drop from the trees, I might have more trouble enjoying the mild fall temperatures since falling leaves signal winter approaching right around the corner. Here in North Texas we seem to have jumped this year from just beginning to experience fall temps, which I will admit can be pleasant, to full on winter. Our high temp for the day occurred at midnight and the reinforcing cold front will put us in the upper 30s shortly (relative to when I am typing this). The wind chill already is in the lower 30s and gray skies make it feel even colder to me. We are expecting our first freeze of the year tonight. Any tender in ground plants will need to be covered and any tender potted plants need to be moved inside. The majority of the trees I can see from my office window are actually still green. If the freeze is strong enough their leaves might just fall without changing color. 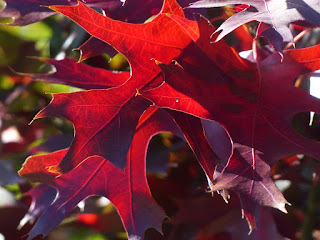 Going straight from green to bare without a pretty change in color would be a shock to my system, so I am glad I got some pictures a week ago of the pretty reds showing on my dogwood and red oak. I am sharing a couple of them here to brighten the tone of my post. 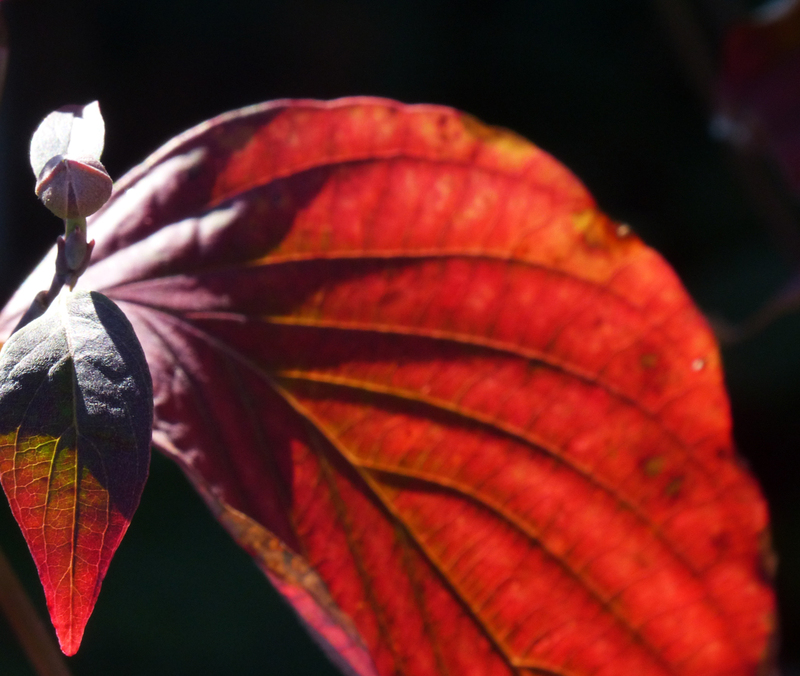 The dogwood tree even shows promise of the spring to come in its swollen flower buds nestled among its crimson leaves.